White Thorn Events is independently booking 2017 GMA Dove Award winner Mike Williams for Sunday Church Events & Missions Presentations. Call Us at 863-393-4614, or fill out our booking request form, to bring Mike to your community, FREE OF CHARGE! That's right, pay nothing to bring Mike to your church, and he will receive 100% of any ticket sales or love offering, which will go directly to supporting his ministry, The Crossover CUPS Mission. Mike G. Williams, the recipient of the 2017 GMA DOVE Award, is a serious speaker who inspires adults and makes them laugh. After twenty-five years of touring with groups like Third Day, Casting Crowns, Jars Of Clay, Toby Mac, and the Newsboys Mike has transitioned to adult conferences with Max Lucado, Ken Davis & Friends, Gaither Praise Gathering, and wonderful local churches. Mike is played in regular rotation on SiriusXM satellite radio. His credits include numerous national television appearances, Bananas Comedy TV, Focus On The Family, 14 CDs, 4 DVDs, and 12 Books. 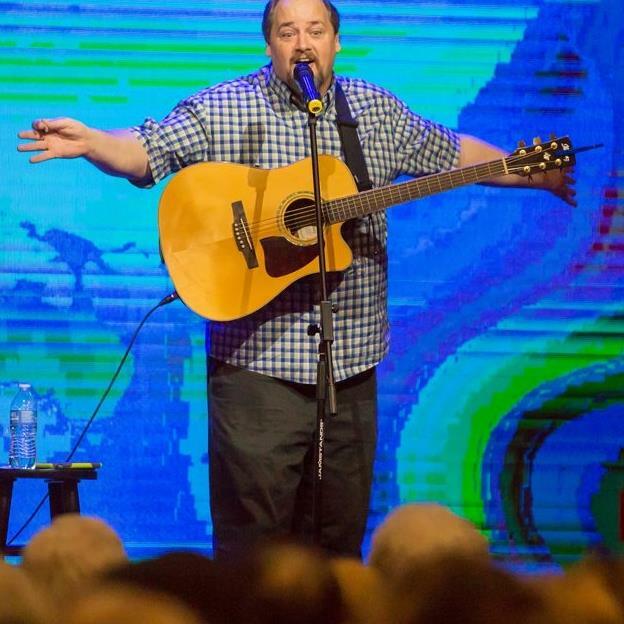 Mike will be happy to bring comedy, along with a powerful message from God's word, or you may choose to have him tell his powerful testimony, which is what most people remember him for. You will too. Mike can inspire any audience with serious truth delivered in a very entertaining way. Mike calls it EDU-tainment! Mike believes he's somebody that's crazy enough to think that he might be able to make the world a better place! In 2008 Mike, and his wife Terica, launched Cups Of Cold Water in Sosua, Dominican Republic. 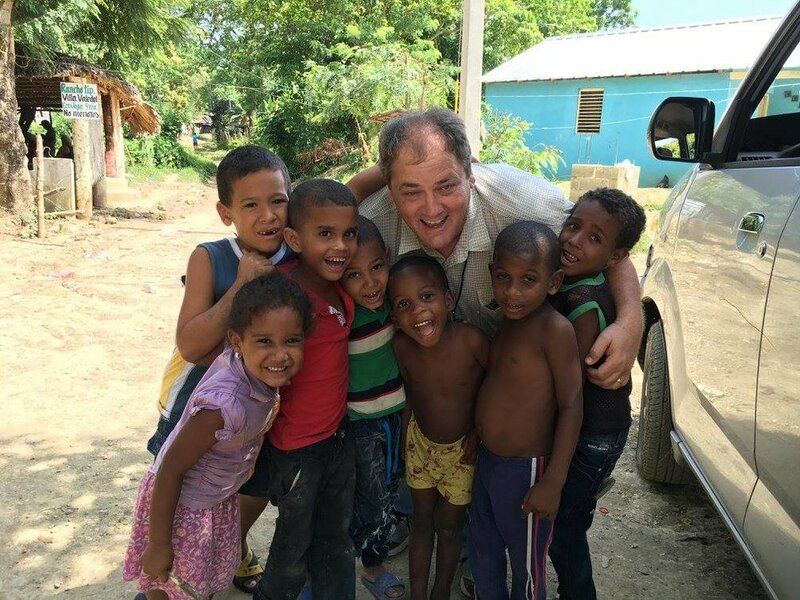 Cups of Cold Water is a Christian Based mission serving the needs of Dominican and Haitian people throughout the country of the Dominican Republic. Rescuing at risk children, providing a better future through education, inspiration, life skills, clean water, medical intervention, family Education, nutrition, and spiritual education. “Mike Williams is a man on a mission and he uses his gifts to make the body of Christ think and laugh. I have no doubt that your congregation will enjoy him as much as I did." "Absolutely hilarious! Funniest Christian comedian I have seen." "I have worked with Mike at numerous events around the country and he is always inspirational and very funny. He recently took the stage in our own Oak Hills Church auditorium." "We hosted two Laugh All Night comedy concerts that featured Mike Williams. Each time we were thrilled to open even our balcony on a Sunday night and welcome thousands of guests. The quality of the event was exceptional and the largest event we hosted on a Sunday night all year." "Mike Williams... I prefer to say that I don't know the man. Oh wait... did I hear a rooster? Okay, I know he has been in our auditorium a time or two... but that is all I will attest to without a court order." "We had a terrific time because Mike did an outstanding job. I look forward to seeing him back at the conference and here again at the church soon." "Wow, I have never had to follow anyone as funny as that in my life. Mike Williams... thank you for that, and I am told you are coming to close for me when I am done. I can't wait." "I think Mike is unquestionably funny and beyond saving." "I just wanted to say a big thank you for the blessing you were to our pastors and wives this year. You made us laugh and cry."